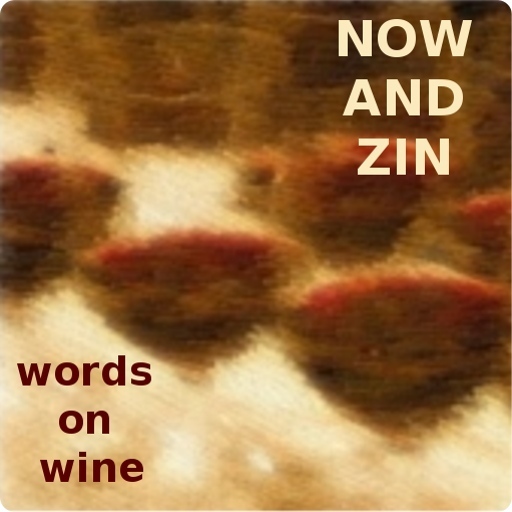 Now And Zin's bid to sample the wines of all 50 states continues in the Deep South. 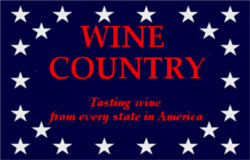 Morgan Creek Winery is located just south of Birmingham in in the sleepy little town of Harpersville, Alabama, population 1,620. Harpersville was the birthplace of the man who founded the second Ku Klux Klan back in 1915, and nowadays they boast the first African-American mayor in Shelby County, Theoangelo Perkins. Actor Henry B. Wathall hailed from Harpersville. He is said to have a star on the Hollywood Walk Of Fame. I've walked those sidewalks in Los Angeles many times, but I don't recall ever seeing Mr. Wathall's star. I'll keep an eye open for it, though. ABA star George McGinnis and former NBA player Warren Kidd are also from Harpersville. Besides all the cotton fields - which is king in the Deep South - the vineyards of Morgan Creek Winery are the main attraction. Morgan Creek's winemaking focuses on a regional grape popular in the southern and southeastern United States, Muscadine. They also produce wine from other fruit, notably peaches and blueberries. The winery is run by Charles Brammer and his son, Charles, Jr. Winemaking was supposed to be the elder Brammer’s retirement hobby. Things apparently went in a different direction, and he ended up working again. At least it’s a labor of love. More widely known grape varieties, like Chardonnay and Pinot Noir, don't grow so well in the hot, humid climate of central Alabama. Fortunately, that's the kind of weather in which Muscadine thrives. I was unfamiliar with Muscadine wine, armed only with the word that it was a lot sweeter than the wines I was probably accustomed to drinking. The folks at Morgan Creek were kind enough to supply two samples of their Muscadine, a red and a white. Both Muscadine wines are actually more off-dry than sweet, with a very good acidity and earthy, mineral-laden notes which I did not expect. I think both the red and the white are well made, but the funky flavor of the fruit was simply not getting any traction on my palate. The acidity was fine, color beautiful, mouthfeel nice - I just didn’t care for the fruit. I have the same issue with asparagus, sauerkraut and grapefruit. That doesn't mean they are bad foods - I hear that plenty of people love asparagus, sauerkraut and grapefruit. Tasting the wines over several days gave me the opportunity to become more accustomed to the flavor profiles, and pairing them with food helped put me in a Muscadine mentality. In the case of the white Muscadine, I did not try it fully refrigerated until the third day. The recommended serving temperature is ice cold. The white wine is made from the Carlos variety of Muscadine and sells for $11 per bottle. There is no residual sugar and it is vinified without the use of oak. It has a beautiful, golden yellow color. At room temperature there's an extremely vegetal nose with a bell pepper aroma so strong there seems at first to be no other aroma available. Chilled, the nose is more like wet straw, tasting very tart and vegetal still. It becomes less astringent after a few sips and is quite nice pairs with macadamia nuts and spicy pecans. When served ice cold, it still smells a bit of wet straw, but with a hint of oakey chardonnay in it. The taste is much less tart, with grapefruit and minerals on the palate. It pairs nicely with peanuts and almonds, and with a blueberry Welsh cake. Vulcan RedThis wine is medium weight, brick-red in color and made from 100% Muscadine grapes. It sells for $13. The nose carries a sweet and earthy quality. Denise - on whose great sense of smell I often rely - says it reminds her of grapes fallen from vines and crushed underfoot, which she experienced as a child. The palate shows a trace of the same funkiness that presents itself in the Cahaba White, only smoothed out with a ripe sweetness that resembles sour raspberry candy. There's a sparkling acidity which actually feels almost - but not quite - fizzy in the mouth. It pairs well with butter cookies and blueberry Welsh cake, too. It’s not so great a match with peanuts, but food with a bit of a sweet edge seems to be a good mate for it. Vulcan Red can also benefit from a good chill. Although Muscadine's flavor profiles were not meant for me, I can certainly see why the grape has its fans. Tremendous thanks go out to Morgan Creek Winery for showing us the wine side of Alabama.